Adding precious metals to an IRA can add protection, diversification and profit potential. 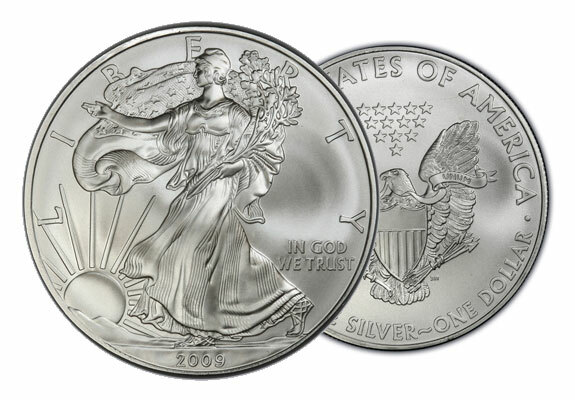 For a limited time, American Bullion is offering a chance for you and your friends to receive a FREE 1oz American Eagle Silver Coin. Just enter the names of up to three friends below that you think might be interested in adding precious metals to their IRA. We’ll contact your friends, send them a Free Gold Guide and answer any of their questions. If they open a precious metals IRA with a minimum balance of $15,000, we’ll send one FREE 1oz American Eagle Silver Coin to your friend and another FREE 1oz American Eagle Silver Coin to you. It’s that simple. Terms: Your coin(s) will be sent to you at the same time we ship the metals to your friend(s). New accounts must have a minimum balance of $15,000 added in precious metals to qualify for this promotion. Individuals are limited to to a maximum of five (5) coins through this promotion. Friend request form must be submitted through the form on this page by April 30, 2013 in order to qualify. If you have any questions regarding this offer, please contact American Bullion at 1-800-326-9598. Please let us know if there are any specific comments or situations we should know about your friends.